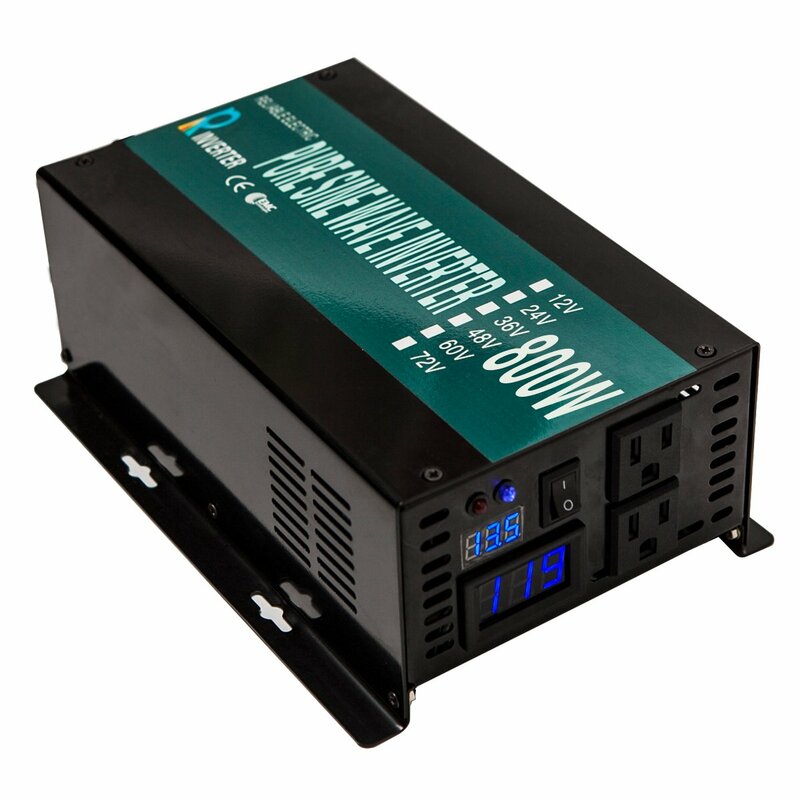 4000W continuous 8000W peak true pure sine wave solar power inverter, as good as grid power, power backup for home power supply. 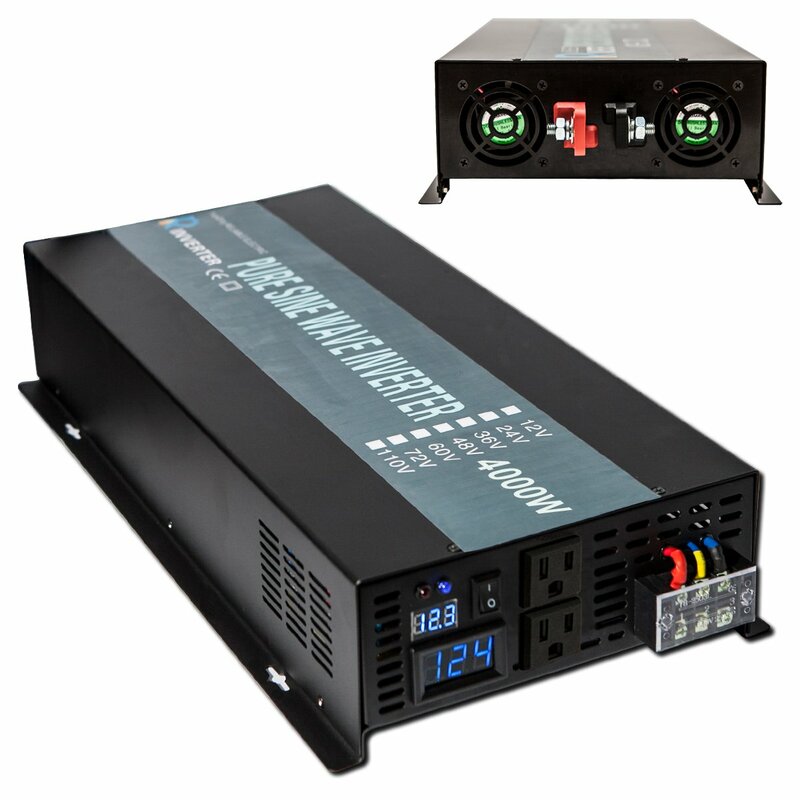 Transfer 12VDC to 120VAC, 60Hz frequency, dual US outlets. Intelligent temperature control cooling fan. Earth connection for both PCB board and output. Digital LED display. High quality true copper inductance, filter the wave form, ensure the true pure sine wave AC output, safeguard your equipment. All big imported mosfets with strong driving capacity. 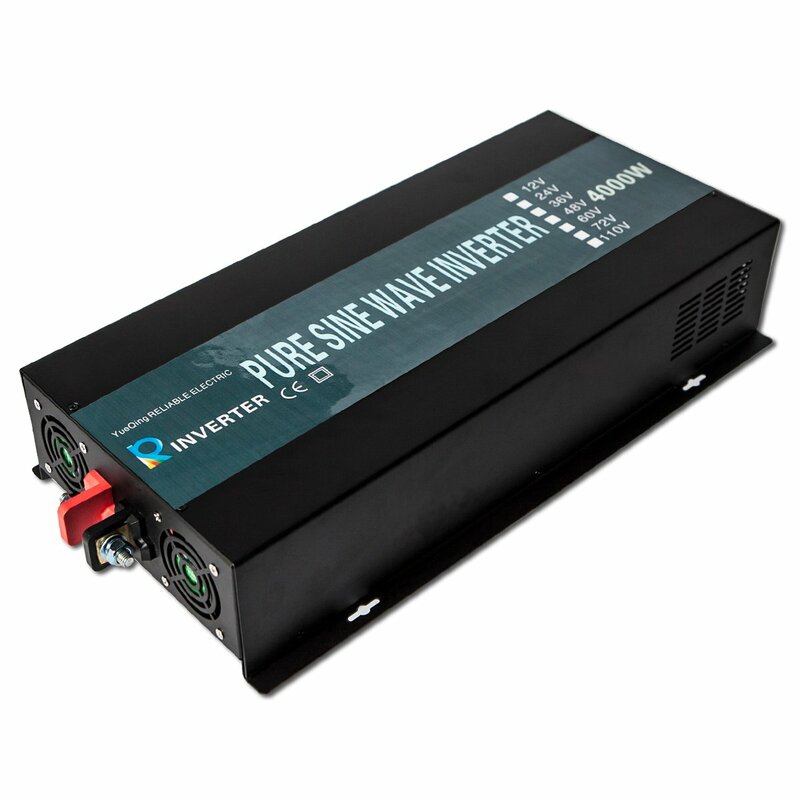 Professional manufacturer of pure sine wave inverter for 8 years. Original factory, provide the reasonable price and high quality and fast response to your questions within 24 hours. 1. Please use the standard battery cables we sent, or a full power output may not be guaranteed. And the fuse are just spare parts. 2. 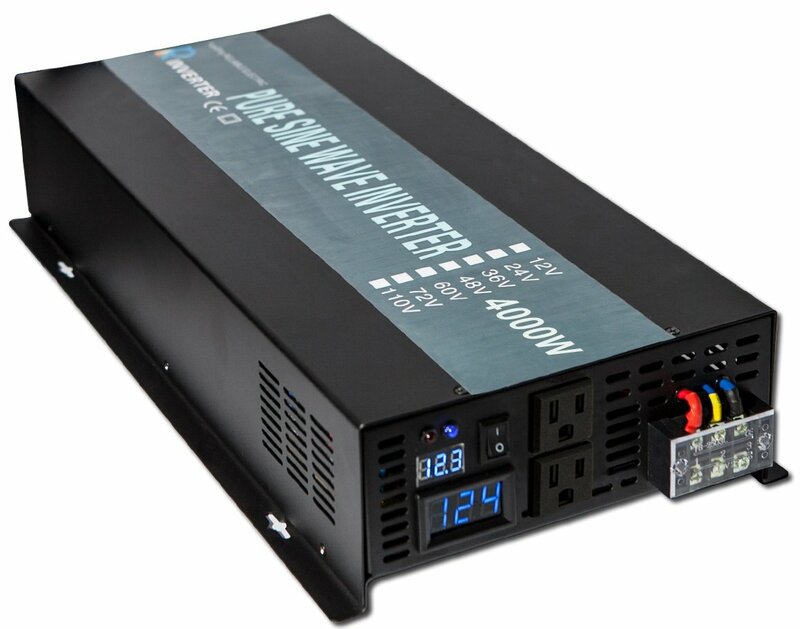 Please do not connect the inverter with the grid power, and a reverse connection of positive and negative is also forbidden. 3. Please do not overload. 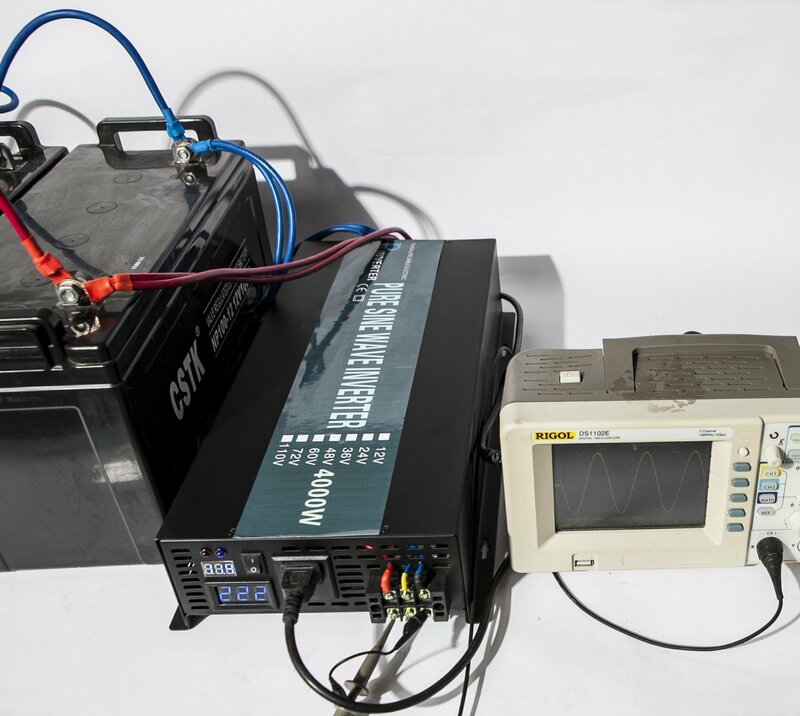 If your applications are inductive loads, please choose the inverters whose continuous power is 3-7 times higher than the watts of your appliances. 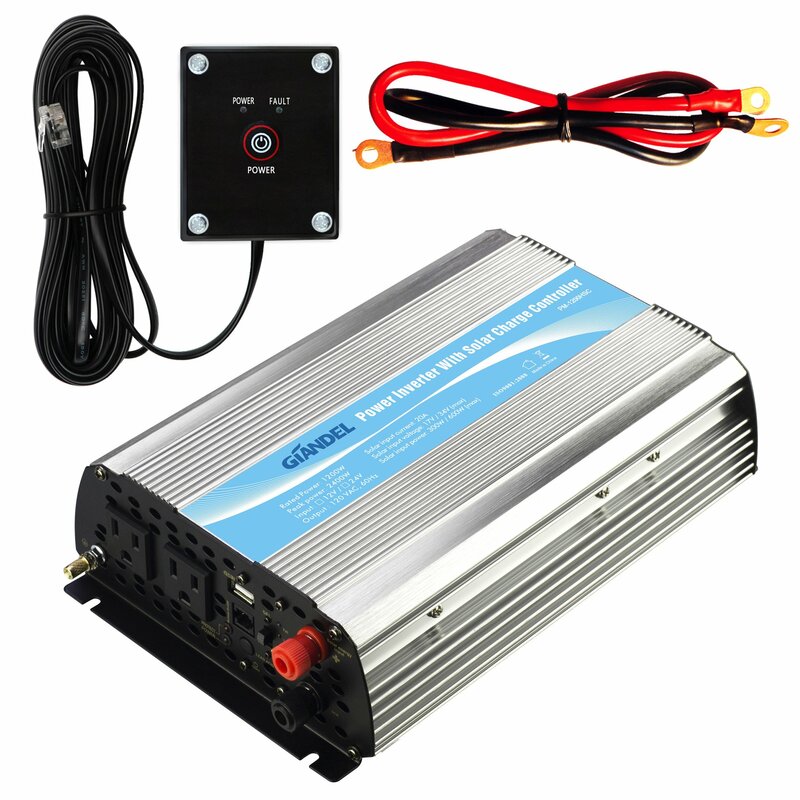 If you want to power up a refrigerator, we suggest you use 10 times higher power inverter. 4. Please turn off the load first then turn off the inverter. 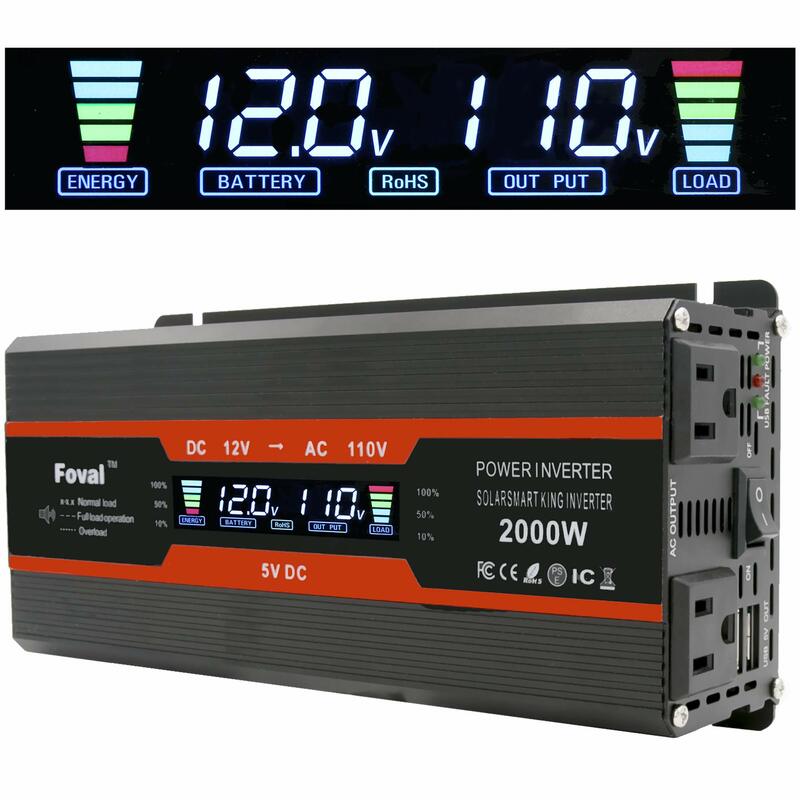 And as there is a soft start function, please turn on the inverter first then turn on your loads, or the output may not stable at the first seconds. 5. For a red light flashing, it is a kind reminder to note you the input voltage is a bit high, you can regardless of it. 6. 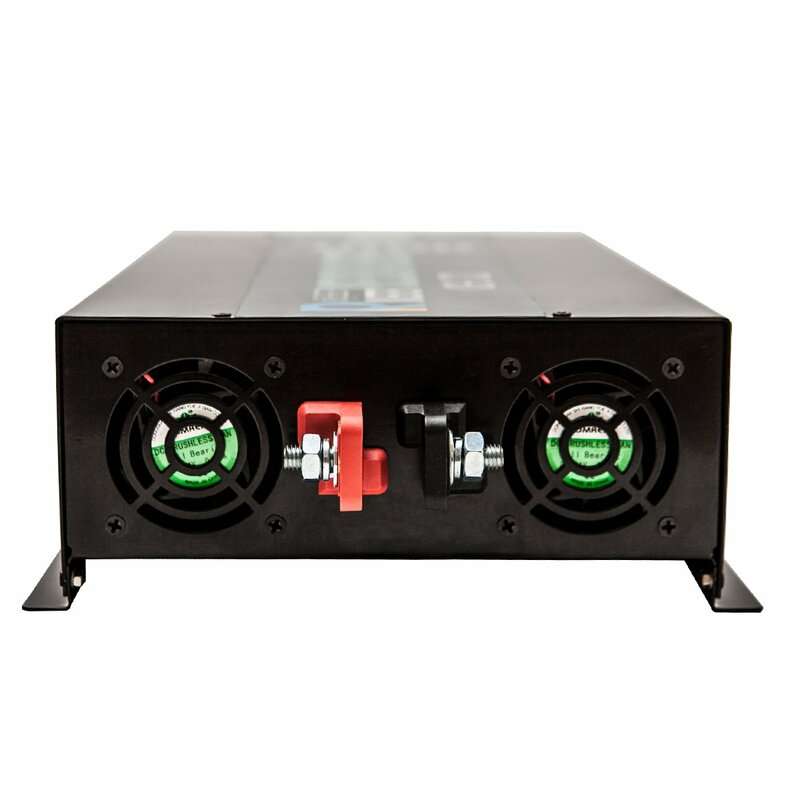 The output voltage can be adjusted in a little range. Free standard battery cables and spare fuse for replacement.